What’s “Carrageenan” and Why is it in My Almond Milk? 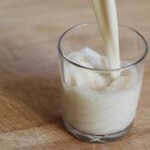 5 Easy “Moo-less” DIY Milks! I can just see you there, standing in the supermarket aisles…reading all the labels, poring over those lists of ingredients, analyzing the list like a virtual scientist! You pick up an item in the market and you check for transfats, corn syrup, sodium, things you can’t pronounce, chemicals you know are unhealthy. What about ingredients in organic and vegan foods—can you assume that it’s all healthy and just fine to toss into the cart without checking those labels carefully or knowing what some ingredients even are? Hmmm…food for thought. So what’s the deal with carrageenan (besides being hard to pronounce) and why am seeing it in so many foods, even organic and vegan? What is it? Is it good or bad? Why is it in my almond milk, among many other prepared foods and what can I do about it? First of all, carrageenan is completely natural. It is extracted from a particular type of red seaweed common in the Atlantic Ocean, near North America, Great Britain and Continental Europe. 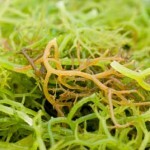 It is also known as Irish moss or Chondrus crispus. The seaweed is boiled to extract what is called carrageenan. 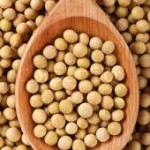 It has no nutritional value and it is used primarily as a thickener and emulsifier. So is this a bad thing? 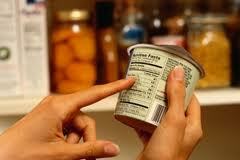 Many food manufacturers, including organic and vegan food companies, are adding carrageenan to their products. 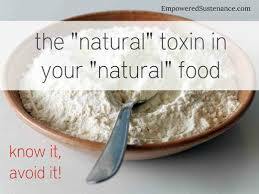 You have undoubtedly noticed that many processed foods very often contain substances known as gums, for example: gelatin, corn starch, carrageenan, xanthan gum, cellulose gum, locust bean gum, agar, etc. Why? Because these foods need to travel long distances and live on your shelf or in your refrigerator for a while. What do these gums do? In terms of home cooking, the time lapsed between cooking, serving and eating is short so we don’t need to use ingredients like this, although I’ve seen recipes that use several of these. The average cook would use inexpensive ingredients like gelatin, flour, eggs or egg replacers and corn starch as thickeners. But you will often seen these ingredients in commercially prepared almond and soy milk, yogurt, ice cream, nutritional shakes, frozen foods, soups and broths. 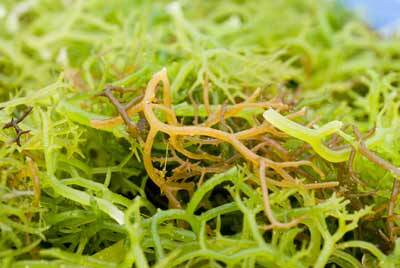 Carrageenan has been controversial and many are raising questions about its safety. 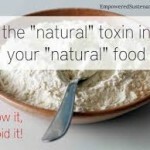 The fact that it is naturally derived seems to have allowed food manufacturers to continue its wide usage. 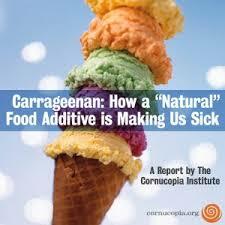 Carrageenan can be causing inflammation, gut irritation and even cancer. It appears to be particularly destructive to the digestive system, triggering an immune response similar to that your body has when invaded by pathogens like Salmonella. The Cornucopia Institute, and organic watchdog group, has launched a nationwide campaign urging the FDA to ban the ingredient from the food supply. “…Dr. 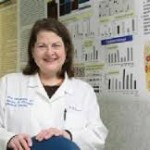 Tobacman said that her research has shown that exposure to carrageenan causes inflammation and that when we consume processed foods containing it, we ingest enough to cause inflammation in our bodies. 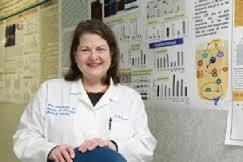 She explained that all forms of carrageenan are capable of causing inflammation. This is bad news. We know that chronic inflammation is a root cause of many serious diseases including heart disease, Alzheimer’s and Parkinson’s diseases, and cancer. 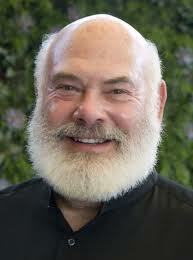 Dr. Weil recommends avoiding foods containing carrageenan. So what can we do? 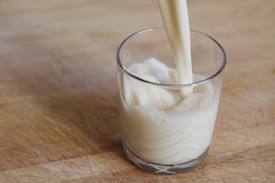 I’ve never experimented with making my own Moo-less Milks but now I’m ready to try! My dear friend Natalie, who was my very first vegan-minded friend, warned me about the dangers of carrageenan and recommended making my own almond milk. 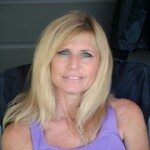 She says it’s super easy, delicious, fresh and free of any unwanted additives, emulsifiers and thickeners. Natalie scrapes a bit of vanilla bean into her almond milk before blending! Method: Soak 1 cup of raw almonds in enough water to cover for at least 4 hours or overnight. Drain almonds and blend in a blender with 4 cups of water until smooth, about 1 minute. Strain and serve. Can be refrigerated for up 3 days in a covered container. 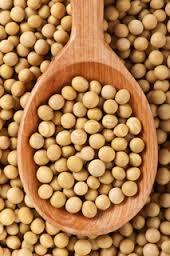 Method: Soak one cup of dried soybeans in enough water to cover for 8 hours or overnight. Drain. Then steam soybeans for 15 minutes. Blend in blender with 4 cups of water until smooth and creamy about 1 minutes. Strain and serve. Stays fresh in fridge for up to 3 days covered. 3) Coconut Milk: rich in medium-chain triglycerides, a type of fatty acid that is linked to increased fat burning and diminished. 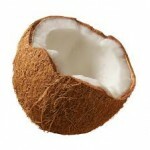 Method: Blend 1.5 cups of unsweetened coconut flakes with 4 cups of water until smooth, about 1 minute. Strain, blend, strain again. Chill in a wide-mouth container for 30 minutes. Spoon off coconut oil solids that have solidified on top. Save this for cooking or moisturizing skin. Coconut milk will last in fridge covered for up to 3 days. 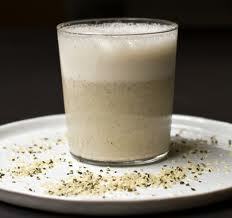 Method: Blend 1 cup of shelled hempseeds with 4 cups of water until smooth, about 1 minute. Strain and serve. Lasts up to 3 days in fridge covered. Method: Blend 2 cups of rolled oats with 4 cups of water until smooth, about 1 minutes. Strain and chill. Keeps in fridge for up to 3 days covered. 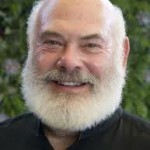 Dr. Weil: Is Carrageenan Safe? PS Made my own almond milk last night and it was delicious! Can’t get much easier! Oh no! Just checked some of my favorite brands of non-dairy milks and one of them contains carrageenan. Thank goodness, Ellen, you posted about DIY non-dairy milks. Going to make my own from now on! Maybe add some soaked Chia Seeds to these mixtures as well. Yes, definitely! Soaked Chia seeds would be excellent in these mixtures. When straining the blended almonds, can you use a strainer or is it best to use something like cheesecloth? Either would work, but I actually use a nut milk bag. It’s sort of like a cheesecloth, only with drawstrings. Trader Joe’s refrigerated Almond milks don’t contain carageenan but their shelf stable ones do. Has anyone found an almond milk with absolutely NO thickeners? 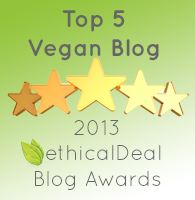 California Farms brand boasts Carrageenan free, which is how I found this blog. I wondered what the heck it was. I also checked my Silk brand-no carrageenan but both have Locust Bean and Gellan Gum. I must also add these both are the Coconut Almond blends. Not just Almond. Some nondairy milks ae full of stabilizers and emulsifiers and some aren’t. Malk and Three Trees are only 2-3 ingredients. I’m starting to realize making your own with just the nuts and water may be the best way but not very convenient!